Juicing is the latest and greatest thing in weight, but is it really effective? Actually, it really is! Juicing is one of the best ways to get many nutritional benefits that fresh fruits and vegetables offer the body. And, the added perk of juicing is that you can get your daily dose much faster than actually cooking and eating vegetables and eating whole fruit. So, juicing saves you time and makes you feel great! It's important to understand that juicing, as discussed here, is not buying juice in a bottle from the store, because a lot of those are loaded with extra sugar and preservatives. Juicing refers to making fresh juice at home with a special juicer machine. Many great new models are available for sale in all price ranges and with various features. In order to understand the benefits of juicing, it's important to understand how the body absorbs nutrients. Solid food requires the process of digestion in order for the body to gain benefits of nutrition through absorption. But, in juice form the digestion process is bypassed, which makes the absorption rate faster and more reliable. In liquid form the body can quickly and automatically absorb all the nutrition passed to it from the vegetables and fruits. Obesity is a major problem in the United States, estimated to be in the millions. Losing weight has some extraordinary health benefits, and can curb common obesity associated diseases, such as, diabetes and heart disease. Many have found weight loss success with juicing and you can too! Here is how juicing is good for weight loss. Metabolism is the process that transforms food into energy, the higher one's metabolism the more weight will be dropped and more calories will be burned throughout the day to maintain weight. One of the hallmarks of metabolism are beneficial enzymes that are found in raw foods and the presence of these enzymes in the body ensures that food is digested faster and burned off more quickly. Fresh squeezed juice is something that provides this type of raw nutrition. 1. Juicing is a great way to lower daily caloric intake, which, is still the most effective way to lose weight. 2. Fresh juice increases metabolism. 3. Proper nutrition helps to increase energy and curb hunger, and with juicing the digestive process is easier and faster enabling you to get all the nutrition from the entire fruit and vegetable, including the peel. 4. 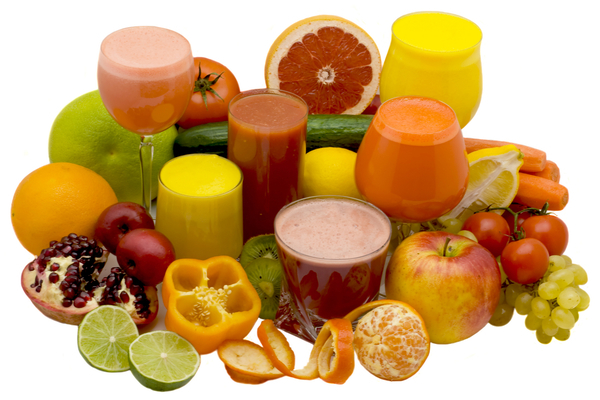 Vitamins and minerals that are essential in the fat burning process are found in high concentrations in fresh juices. 5. The plethora of antioxidants in fresh vegetables and fruits make sure your cells stay healthy and give the body energy to burn fats. 6. Juicing for weight loss enables a healthy colon and liver that in turn helps to cleanse the body and take care of the digestive system. 7. Juicing can be a great added element to any weight loss plan, so you can be sure to maintain proper nutrition while losing weight. 8. Vegetable juices have the amazing quality of suppressing the appetite, without any bad effects. 9. Fresh juices help to stabilize blood sugar levels, which is essential to control crazy cravings, maintain proper nutrition and is essential for weight loss. 10. Juicing is much cheaper than some high cost diets, so you save money. 11. Juicing fits with any schedule or lifestyle. You can juice in advance for the week so you always have fresh bottles on hand. Juicing has some great benefits for weight loss, and overall health. There are lots of juice recipes, plans and guides available to establish a plan for yourself and lose the weight today! The 3 Week Diet Review - Will Brian Flatt’s Diet Work? © Copyright 2019 FitnessTell.com | Contact | Disclaimer | Privacy.